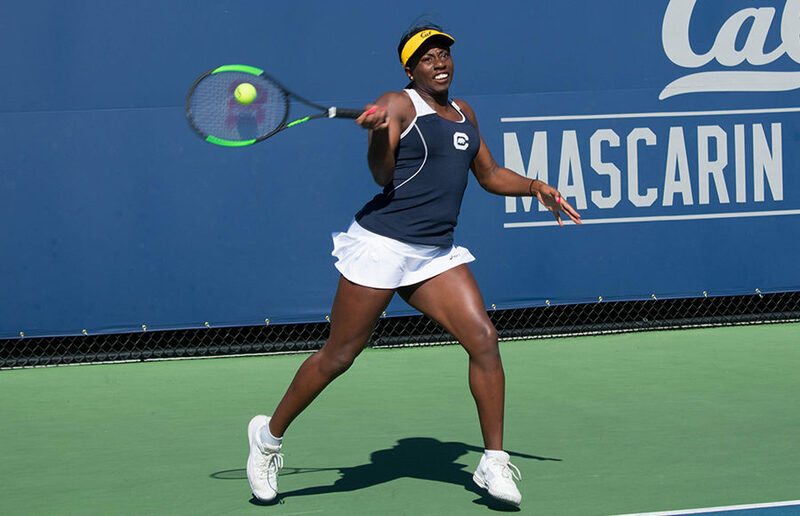 Most collegiate teams typically conclude their regular-season home stretch against conference foes, and Cal women’s tennis is no exception — that’s how schools have written it up for as long as most programs have been around. That’s why it’s a bit odd that the Bears’ (8-6) penultimate match at the Hellman Tennis Complex this season sets Cal up with Sacramento State (7-10) on Thursday, a nonconference opponent, prior to Friday’s Senior Day against Oregon (12-6). “Oregon is the one school in the conference that doesn’t have a travel partner, and we always like to get a second match in that week just because we’ve gotten into the habit of playing two matches every weekend,” said Cal head coach Amanda Augustus. While the Hornets are a deviation from the Bears’ Pac-12 competition, they make up a local program that has impressed in recent years. Like Cal, Sacramento State’s roster includes a young lineup — six underclassmen, to be exact — but it’s the Hornets’ lone senior who has generated the most buzz. 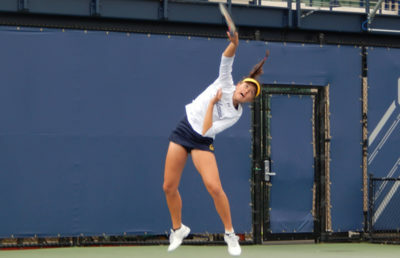 Captaining her team on court 1 this spring, Ana Loaiza Esquivias will carry an 11-5 singles record into Thursday’s singles showdown, presumably against Cal freshmen Julia Rosenqvist or Anna Bright. In addition to her four years of experience in the Big Sky Conference, what makes Loaiza Esquivias a potential problem for the Bears is that she’s won her past five singles matches. That said, Bright and Rosenqvist are undoubtedly eager to compete at a high level in their final home matches of year 1. In addition to junior Olivia Hauger, the pair of freshmen are currently holding down top-50 singles rankings, while the tandem of Hauger and Rosenqvist occupies the No. 48 doubles ranking as announced in Tuesday’s reveal. Although Cal’s doubles play has been far from smooth sailing, it’s crystal clear that the Hauger-Rosenqvist duo has gelled well in its first season together. The Bears will close out their home campaign against an even more familiar opponent in Oregon. After dropping the doubles point last weekend at Arizona State, Cal’s doubles teams will have their hands full with three top-70 pairs across the Ducks’ lineup. In particular, the No. 27 duo of senior Alyssa Tobita and junior Shweta Sangwan poses one of Cal’s toughest doubles challenges in recent memory. Tobita may be the only ranked singles player in Oregon’s lineup, but snagging the doubles point may be the game-changer the Ducks need to send the Bears into a backward frenzy. Like Loaiza Esquivias, Tobita presents herself as a polished court 1 competitor, boasting a 15-10 overall record this season. While the individual rankings may not display just how notable Oregon’s lineup has been in singles, the Ducks can certainly smile at individual records — all eight of their active singles players have a .500 record or better. With just three weeks left until Pac-12 Championship events, the pressure is on for Cal to kick off the stretch run on the right foot.